This tour includes a pick up to take you to the tour start/meeting point and drop off to the same location at the end of the tour. The pick up time will be printed on your tour voucher. 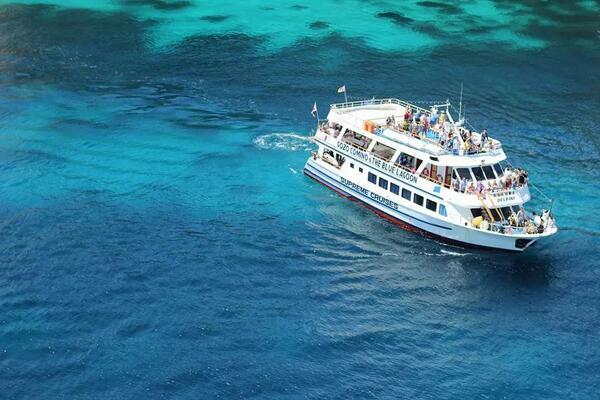 Additional Information: The boat is very well equipped with restrooms, bar, air conditioned area and fresh water showers. Drinks including beer, wine, soft drinks and mineral water are included during the cruise/boat trip. You can purchase snacks from the bar. This boat departs from Sliema first and then pick's up from St. Paul's Bay on way to the Comino. On the return it drops off at St. Paul's Bay first and then Sliema. During this tour we will cruise along the Northern coast of Malta enjoying the views of St. Paul’s Islands & Mellieha. Upon arrival at the sister island of Gozo we will board a Gozo Sightseeing Bus and we will visit the Capital City Victoria. Victoria is the name given in 1897 by the British government on the occasion of Queen Victoria’s Diamond Jubilee, at the request of the Bishop of Malta, Mons. Sir Pietro Pace. However Gozitans still often refer to it by its old name, Rabat. The area around Victoria, situated on a hill near the centre of the island has been settled since Neolithic times. In the centre of Victoria lies The Cittadella, a historic fortified city. The Cittadella also called at The Citadel, is on Malta’s tentative list of future World Heritage Sites by UNESCO, who describes it as a small fortified town. An old prison is located within the city, as are the Courts of Justice. Here you will stop for around 75 minutes. On the way back to the port we will stop for few minutes at Qala Belvedere for a fantastic photo opportunity of all three islands. In the afternoon, we head to the famous Blue Lagoon where you can spend time exploring the island and swimming in the tranquil turquoise water. 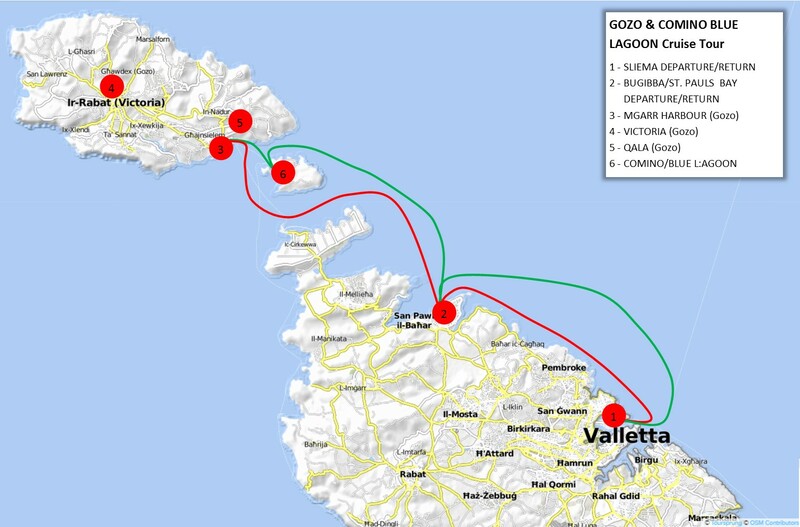 PLEASE NOTE This cruise tour is not recommended if you want to visit the many other sites the island of Gozo has to offer and/or want to enjoy ore time swimming at the Blue Lagoon on the island of Comino. If this is the case, we highly recommend that you book separate tours to visit each island if you want to enjoy the very best of both islands. The ratings and reviews that appear below are provided by independent travellers about this tour/attraction and the company that operate it. It was beautiful but you should give 3 hours to Comino Island and 1 hour to Gozo. and not the opposite. there is not much to see in Gozo. boat was great . Comino is one of the most beautiful places i have ever been in .